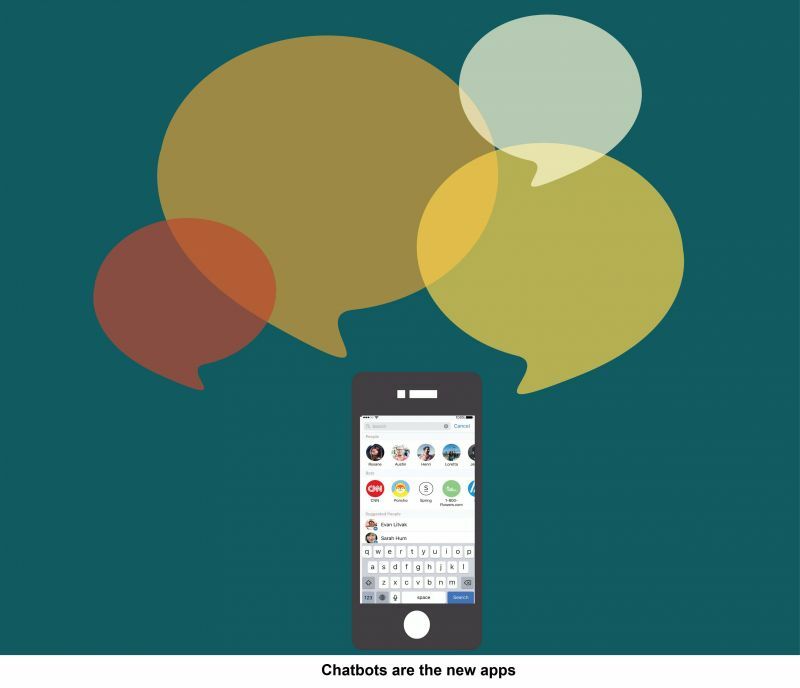 Chatbots, a combo of AI and chat are about to challenge the mobile phone’s reliance on apps. The Bengaluru-based creative team behind Niki. Try this experiment -- if you dare! Delete every app on your phone, and what do you have? A device that can make and take calls and text messages, something that primitive handsets were doing 15 years ago. Apps are the oxygen of the mobile phone and contribute to 80% of its functionality. Yet there is something called app-fatigue that many users are beginning to experience: you need to install a separate app for every utility or service. Pretty soon, you run out of onboard storage. Drilling through an app to book a train ticket or order a Hyderabadi dum biriyani, involves needlessly repetitive steps. It can get painful. Which is why the most anticipated mobile tech trend of 2016 is an alternative to apps. It's called the bot (short for robot) -- a software application that automates the tasks that you normally perform, from checking out a hotel room to reserving a seat in a multiplex. The most popular avatar of the bot is the chatbot which simulates natural conversation, chatting back and forth with you till your job is done. The chatbot is a combo of two compelling technologies: Artificial Intelligence (AI) and simple human conversation. Mix them up, stir well -- and you can serve a potent new tool that mobile users are lapping up wherever they find it. For starters, you don't need to download a fat app. Want to order a pizza? Just go to the pizza joint's site and look for the chat box. Type in (or if you have a voice search tool, speak): 'Hi! Domino's, send me a Paneer pizza with capsicum topping.' The bot will complete the order, digging out your address and billing info. It might say ' We have a special offer for you!' and you can accept or pass. - In end-March, at the Build developer's conference, Microsoft CEO Satya Nadella announced a new bot framework and invited developers to create bots that would serve as our personal assistants. He opened up the company's voice and video calling tool, Skype as the first maidan for third party bots, adding a new mantra: "Bots are the new apps!" - In mid April, at Facebook's own developer Conference, F8, CEO Mark Zuckerberg, announced a very similar initiative: the addition of chatbots to Facebook Messenger and the launch of a messaging bot store for developers to create and upload their own bots. FB Messenger's 900 million users plus WhatsApp's billion plus add up to a 2 billion strong market for messaging bots -- which challenge the app world dominated by Google Play and App Store. None of this is altruism. For Facebook and Microsoft, bots are the agni astra to create a new chat-based mobile ecosystem that they can control and of course, make monetise. 2016 is being called the Year of Conversational Commerce. With Internet giants deciding that bots are the next big thing after the browser replaced the desktop as the preferred platform of lay users, you can bet the Great Bot Rush has begun. Durgesh Kaushik who worked in online marketing for Facebook before joining online education startup Edureka as Chief Marketing Officer, gave me his personal take: "It's still very early days when it comes to AI enabled chatbots. But since a behemoth like Facebook is focusing on them , we might soon see ourselves using themvery soon. I am really excited about the promise of messaging bots -- especially their ability to trawl hundreds of apps to give us the best solution. This will solve the long standing problem of app discoverability, creating a win-win for both developers and consumers"
Google and Apple may well decide that if you can't fight them, you might as well join them. Then, we mi8ght kiss our favourite apps goodbye and say 'hello' to a brave new, bot-filled world. The biggest challenge for chatbots is understanding the user's language. The name of the game is Natural Language Processing -- and India has historically led the world in this area. No surprises therefore, that even as the big players get their bot act together, Indians are off the startup block. Four IIT Kharagpur alumni, Sachin Jaiswal, Keshav Prawasi, Nitin Babel and Shishir Modi, have founded Niki.ai, a startup, whose product Niki, is claimed to be the world's first AI-driven smart- purchasing chatbot. Currently, the tool enables phone recharging and cab booking, but Niki will soon cover a wide canvas of services. AI-plus-chat is also the mix that fuels MagicX and its services like grocery ordering, bill payments, travel planning and phone recharge. 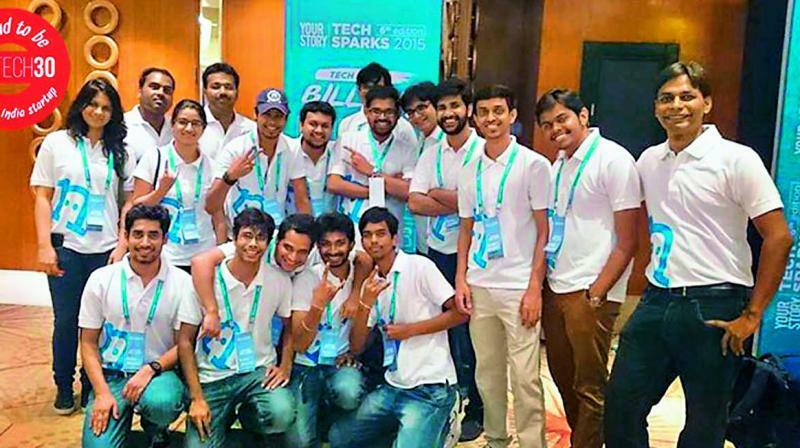 Their Bengaluru-based AI team draws in experience at IBM, Xerox and IITs. 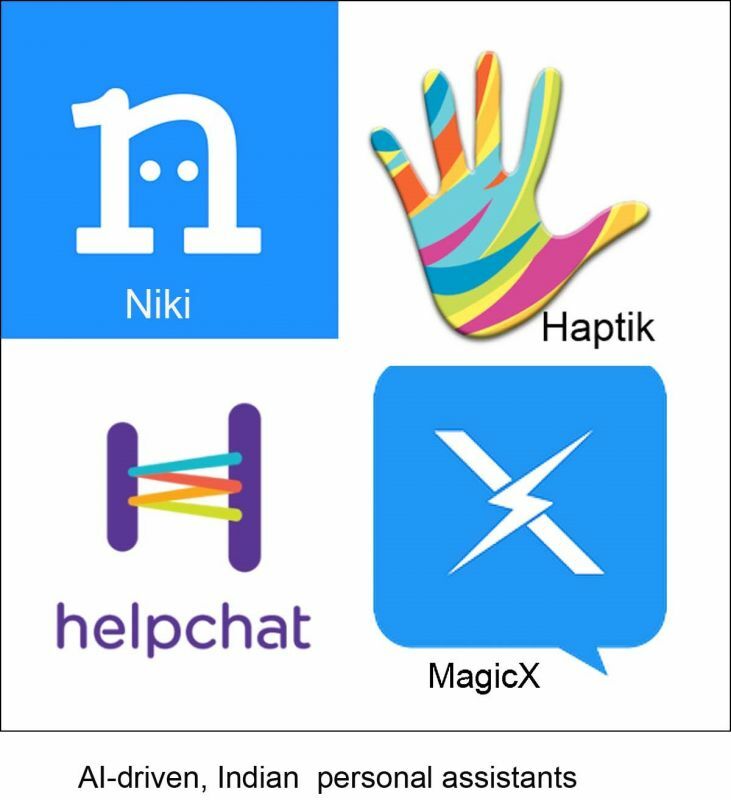 Helpchat calls itself "an intelligent personal assistant app that helps you get more things done." They have the widest gamut of services among the Indian helpchat sites I checked. "We are changing the way you would get work done - over chat", says Haptik.co co-founded by Aakrit Vaish and Swapan Rajdev both alumni of the University of Illinois, at Urbana-Champaign. Their service augments automated help with a team of live assistants.